No one would call me an adrenaline junky. I’m not a big fan of being scared, I have never been. That’s why I tend to stay away from horror books. I doubt I’ve read more than five in my lifetime. But I can recall the first one I read. 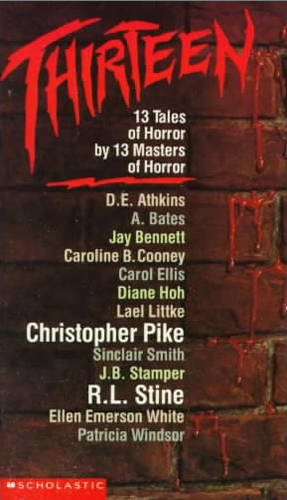 Thirteen Tales of Horror by 13 Masters of Horror. I had the Scholastic edition, back when I still read hard copy books. I couldn’t have been more than 12 or 13 at the time. My mom was working later than usual so I was home alone and decided it would be a great idea to read this new book. I settled down on the sofa and powered through it. I happily descended into that magical book land where the world ceases to exists as the words play out like a video in your mind’s eye. I emerged from this land of wonder, and in this case, horror, only long enough to turn on the light above my head as the room darkened. Some of you may already know where this is going. Just as I finished reading a story about an evil haunted doll, that was not named Chucky, my bladder made itself known. It was then that I realized what a monumental error of judgment I had made. I was sitting on the sofa in a soft pool of orange light that didn’t extend much past three feet into the living room. How woefully inadequate incandescent bulbs were. The minimal brightness wouldn’t even get me to the dining room. I peered into the darkness, trying to make out the shapes of objects I knew were there to keep my brain from playing tricks on me. Every sound was magnified, eerie. My pulse started racing. A twinge of my bladder reminded me that I’d have to get up, and soon. With a gulp, I eased a leg off the sofa, then the other. I didn’t bother with a pragmatic pep talk. Logic had no place there. I was in a world of primal fears and instincts. My goosebumps were telling me that there was something scary in the dark. As my eyes adjusted more, I could just make out the other living room lamp. Only a few steps, 8, maybe 10, were all I’d need to get to it. I took them at a run, desperate not to be in the dark for an extended period of time. Click. I breathed a sigh of relief as I was bathed in another pool of soft orange light. I’d jumped the first hurdle, so surely I could master them all. I turned to face the rest of my challenge and froze. The dining room was mostly illuminated, but beyond that stretched the gaping maw of the kitchen, leading to the gullet of a hallway. The bathroom door at the end of the hall was lost to shadows containing monsters unknown. I weighed my light switch options. Should I try to find the switch in the dining room, partially hidden behind a bookcase? An easy enough task during the day, but a seemingly insurmountable feat in the eerie shadows of night. Or should I charge into the darkness of the hallway to the switch near my bedroom door? For that, I’d have to traverse half the length of the hall in pitch black. My eyes darted back and forth between my two options like I was watching a tennis match. My heart thudded in time with the imaginary ball. I stared at the location of each light switch, willing my eyes to penetrate the darkness and show me which was closer, which was easier to access, which road was less perilous. With a quick shake of my head and shoulders, I charged down the hallway nearly at a jog, flipping the light switch as I passed it. The soft light banished whatever monsters may have been lurking in the shadows. The relief I so desperately needed was just a few steps past the light. I laughed at myself as I emptied my bladder. I really was getting too old for such fears. I needed to grow up. I’d prove I wasn’t scared by reading the rest of my book. As I made my way back down the hall, I paused at the light switch, briefly contemplating turning it off to save electricity. An imagined movement in the darkest shadows of my bedroom caught out of the corner of my eye, had me scampering back to the living room, turning on an extra light on the way. My mom would be home soon, and I could turn off lights then. I finished my book that evening, but not in the dark. In fact, it was years before I read anything horror in the dark again. My lesson was well learned. I hope you enjoyed this brief glance into the silliness of my childhood. 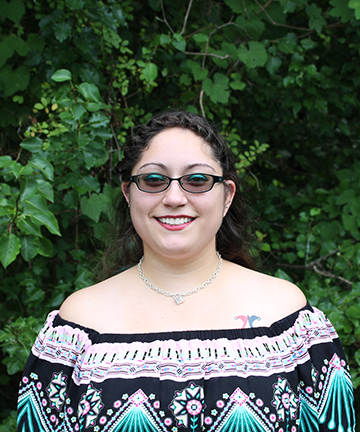 If you’d like to learn more about me, you can check out my website, Facebook, Instagram, Twitter, or YouTube. If you like my writing, be sure to keep an eye out for my first book, The Most Special Chosen being released March 3, 2018, by Burning Willow Press. The Buzzkill Magazine: New Series Introduced!